We’re currently in the research/ requirements gathering phase of our redesign project, but we can promise something brand new and very exciting is on its way. And we want you to be a part of it! Many new features are being tossed around as potential additions/alterations for the experience here. So please feel free to comment on this post with anything you’d like to see on this site. We will take all the suggestions into consideration. Also, keep your eyes peeled for a feature-request poll in the weeks to come. As always, you can reach us anytime at RateThatTruck@gmail.com. 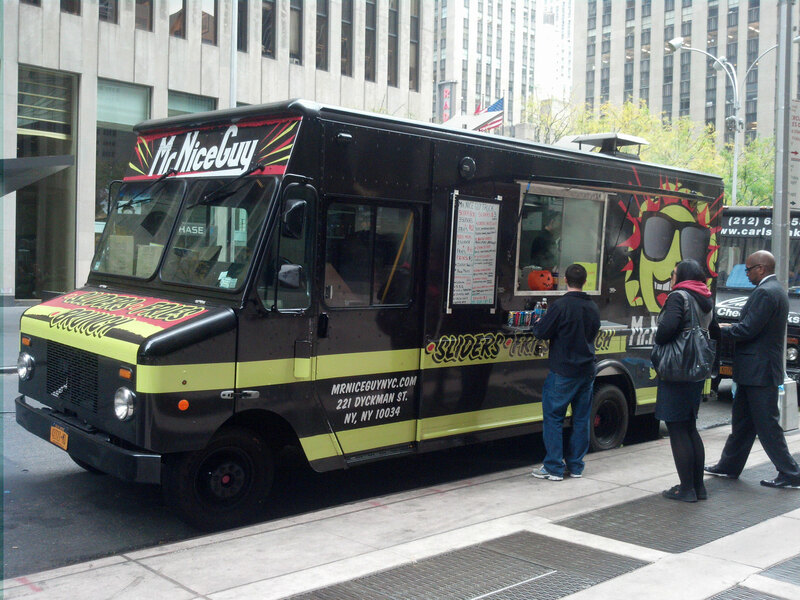 Taco trucks come in all shapes and sizes on the streets of NYC. It seems there’s no better way to offer up interesting food than to wrap it in a small tortilla. For this reason, taco trucks have to work extra hard to make themselves stand out from the crowd. They have to present tasty, fresh takes to the table or they will ultimately fall flat. 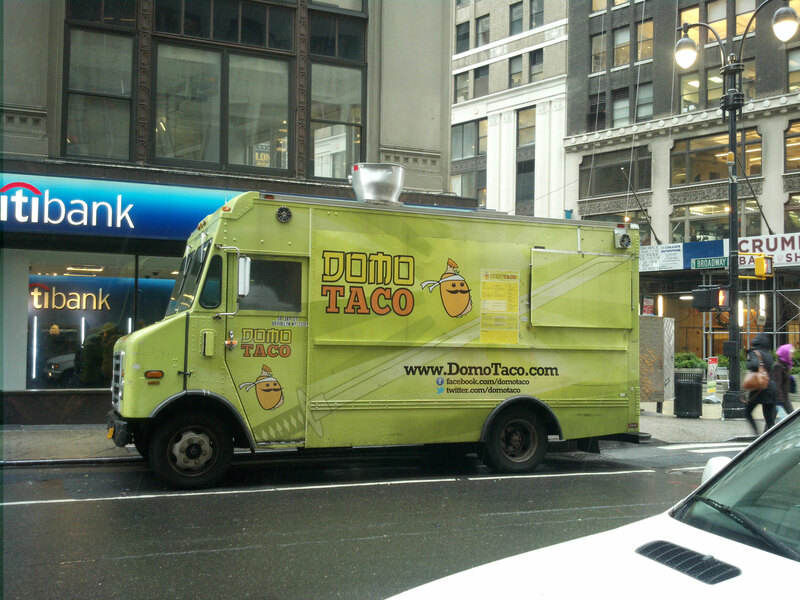 Could Domo Taco rise to the challenge? Amid all of the buzzy concoctions and off beat food pairings you find on many food trucks, it is nice to occasionally have a dish that harkens back to a simpler culinary time. I had my eye on Old Traditional Polish for a while now, but was always jussssst a bit out of reach to make the trip on my lunch break. But it seems they have added a new East 30’s location to their repertoire, so I made my way over as soon as I had a chance. As a relative stranger to Polish food, I was intrigued to see what I was getting into. A logo projected on a brick wall. Clearly this was going to be a classy affair. Everyone knows Seamless as a haven for hungry workers looking for a tasty lunch delivered to their door. 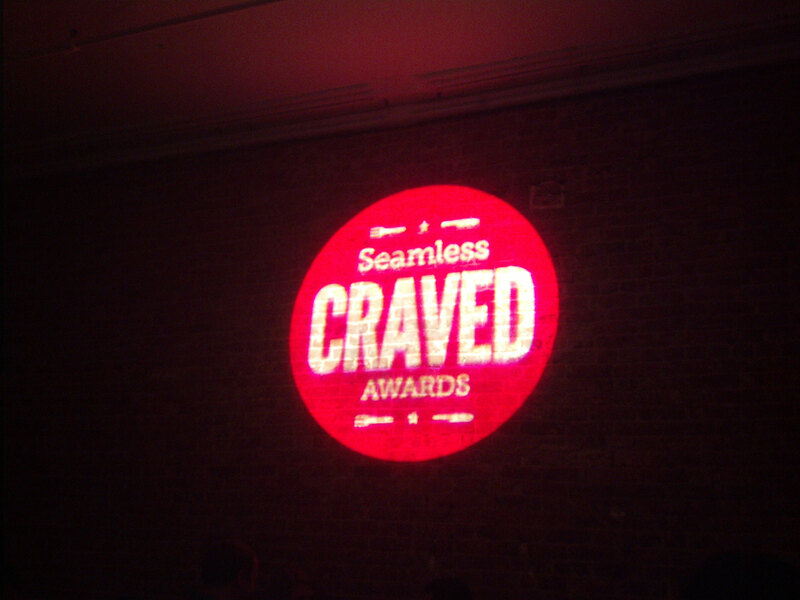 Seamless has a yearly “eater’s choice” award ceremony for restaurants in the NYC and DC metro areas. Users nominate and voted on their favorites in a variety of categories, and the winners were announced shortly before the celebration ceremony. We were lucky enough to cover the event in all its delicious glory. The days of warm enough weather to eat outside are waning, but luckily we had one last respite to check out another tent at Broadway Bites. 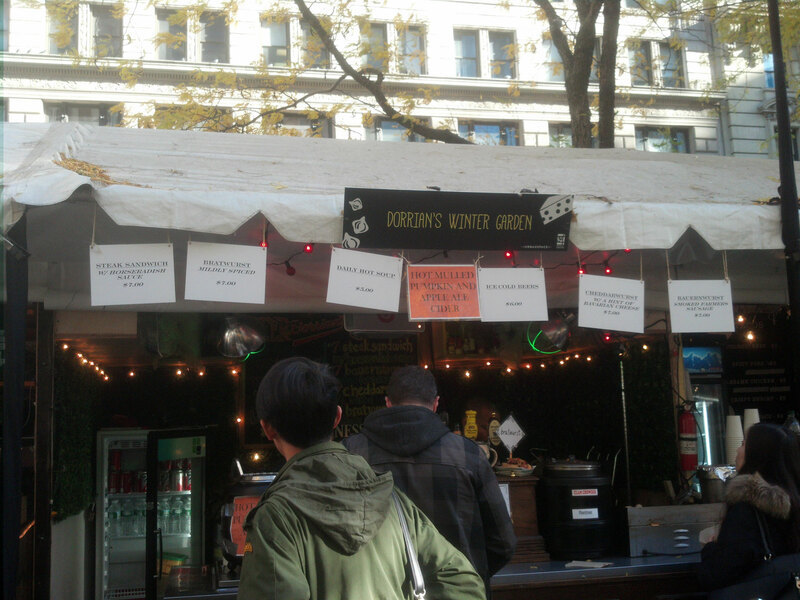 After scoping out the options on our previous Broadway Bites trips, I had filed Dorrian’s Winter Garden away in the back of my mind as the stand I had to try next. Oktoberfest may be over, but it’s never too late to try a good brat. 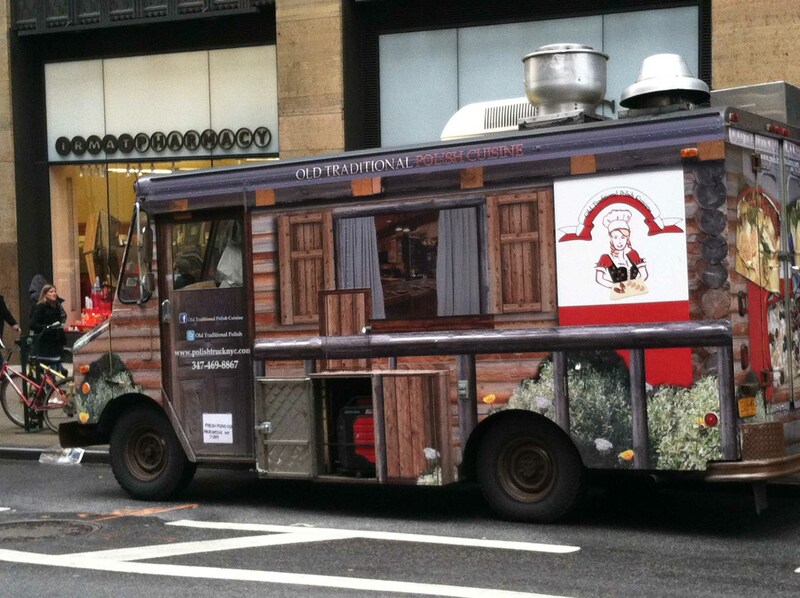 I was eager to check a bit of Bavaria in Greeley Square. When I first heard there was a new Korean BBQ Burrito place that was slinging bulgogi at Broadway Bites, I knew that I would have to try it out ASAP. I have always been huge fans of Korilla BBQ burritos, but in the back of my head I always wondered if it was Korilla I loved, or just a Korean BBQ burrito in general. I had never tried one other than Korilla’s version. Seoul Lee Korean BBQ brings an alternative to the Korean BBQ burrito space. I was eager to try it out and see how it stacked up. As a resident of the midtown food truck dead zone, I rarely get rich lunch options without having to venture at least a mile out of my way. Needless to say I was ecstatic when I first heard about Broadway Bites, a new pop-up food market located in Greeley Square. After a very short walk, I was inundated with a host of radically different food options for me to choose from. 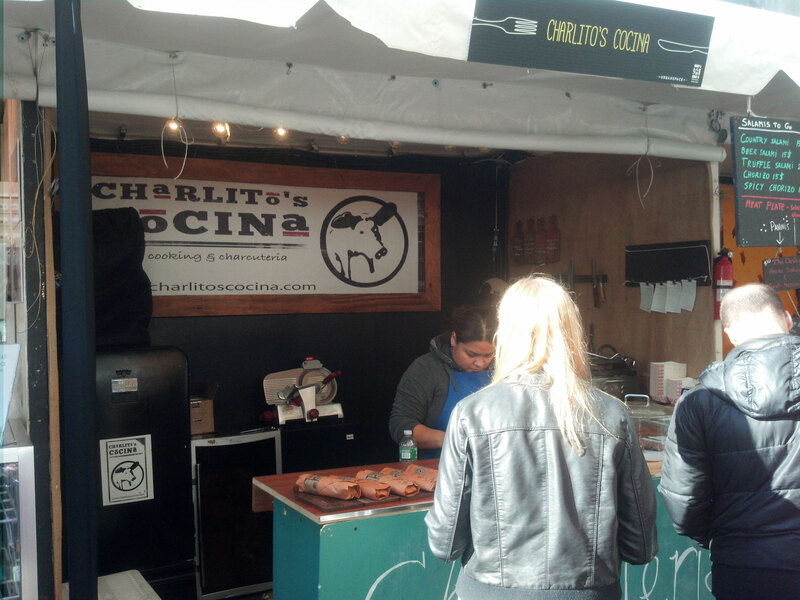 Almost randomly I ended up at the Charlito’s Cocina tent drooling over some salami sandwiches. The decision was pretty much made for me. Even though winter is all but arrived, NYC’s food trucks can still be found parked in the usual spots conducting business as if it was the middle of summer. A few new ones have popped up in the past month or two, including a particularly interesting burger joint called Mr Nice Guy. 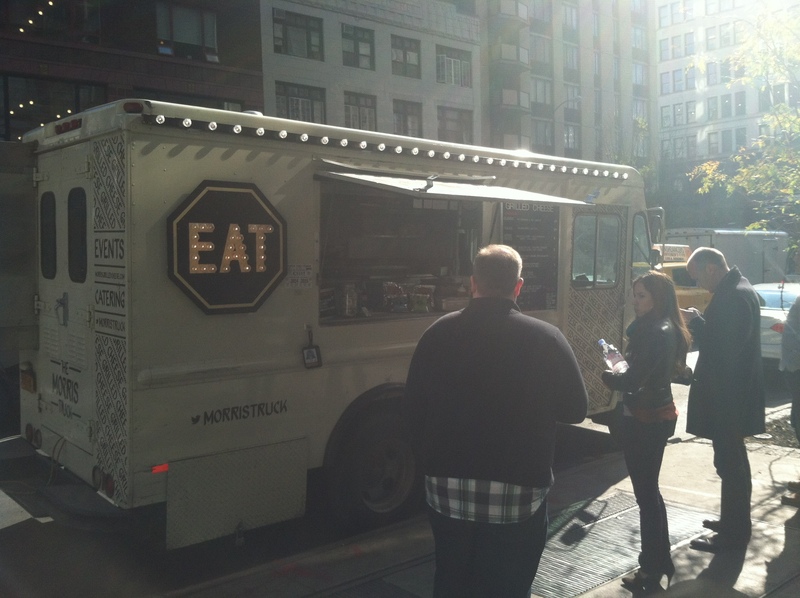 Can the new guy on the block roll with the food truck elite? It was time to find out. I had always been weary of grilled cheese trucks. Fairly or unfairly, I always worried that the typical grilled cheese was barely enough food to fill a schoolboy, let alone a grown man. My main mistake, however, was assuming that what I received on truck was the typical grilled cheese I fry up in my apartment. Morris Grilled Cheese is fairly unassuming in nature from the back. But the big EAT sign on the front of the truck catches your attention instantly. I’m not one to ignore a big flashy sign, so it was going to be a grilled cheese day. 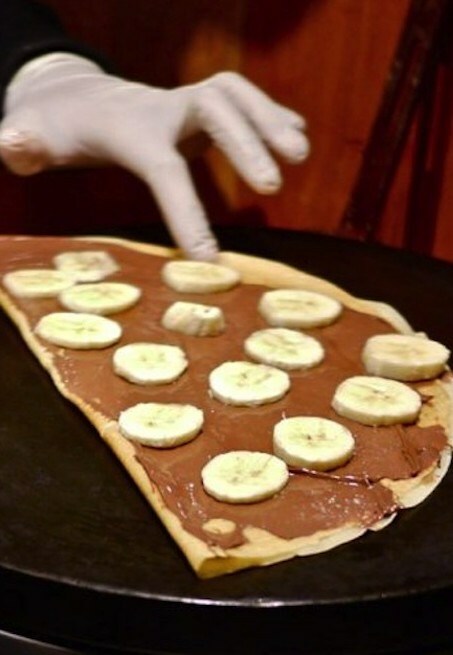 Bar Suzette crepes can be found at Broadway Bites. Now that Madison Square Eats has returned to its six month hibernation, a new food market has taken its place just 10 or so blocks uptown. Broadway Bites began this week in Greeley Square Park, located at 33rd Street between Broadway and Sixth Avenue. 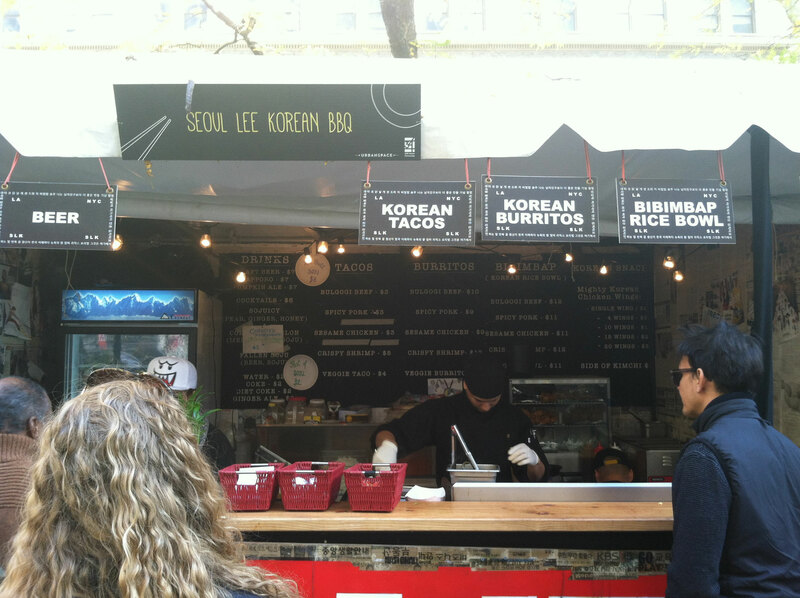 It looks like a pretty similar market to Madison Square Eats, as many of the same vendors will be whipping up their delicacies once again at Broadway Bites. Some vendors include Mimi & Coco, Mason Jar NYC, Macaron Parlour, Bar Suzette, Nunu Chocolates, Mexicue, Mayhem & Stout, Arancini Bros., Asiadog, and Red Hook Lobster Pound, among others. So if Flatiron was just a little too out of the way for you, hopefully the Greeley Square location offers a better opportunity to try some of the best street food in the city. The market is open daily from 11am-9pm, Monday, October 28th through Sunday, November 24th.